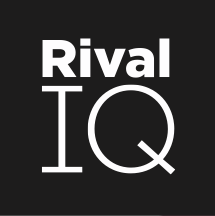 Does Rival IQ work on my phone or tablet? Why aren't my Instagram stories showing up? What if information isn't right for one of my companies? Can I change the social handles connected to a company? How do I change a company's name? How do I delete, rename, or duplicate my Landscape? Why do you have data limits during the trial? Why is Instagram engagement total different in Rival IQ? Where do you get your SEM data? How often is keyword data updated? How do I set my SEO results for the right country? Can I search for mentions in Instagram Social Posts? Details on Instagram Business Profiles including benefits and how to switch your account.